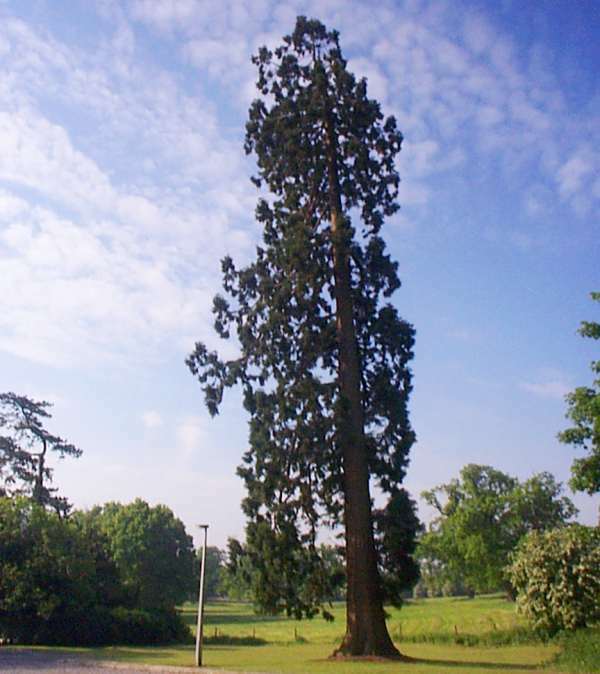 This evergreen is the tallest-growing tree in the world; in its native USA it can reach a height of more than 100 metres and live for over 2000 years. Here in Wales there are only relatively young trees, all less than 50 metres in height. Quite commonly planted in parks, Coast Redwoods seem to do best when they are sheltered from cold dry winds. The climate of Wales and western England therefore suits them very well. 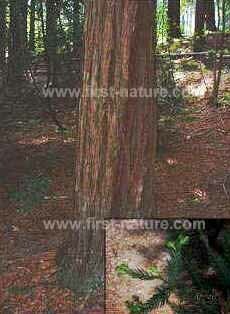 The thick, spongy bark resists fungi, insect infestation and even forest fires.